by David M Diez, et al. Statistics is an applied field with a wide range of practical applications. 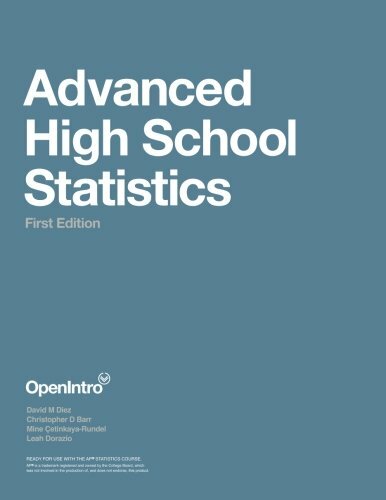 This book is geared to the high school audience and is specifically tailored to be aligned with the AP Statistics curriculum. It is already being used by many high schools and community colleges throughout the country. Written by a renowned statistician, this book presents the basic ideas behind the statistical methods commonly used in studies of human subjects. It is an ideal guide for advanced undergraduates who are beginning to do their own research.